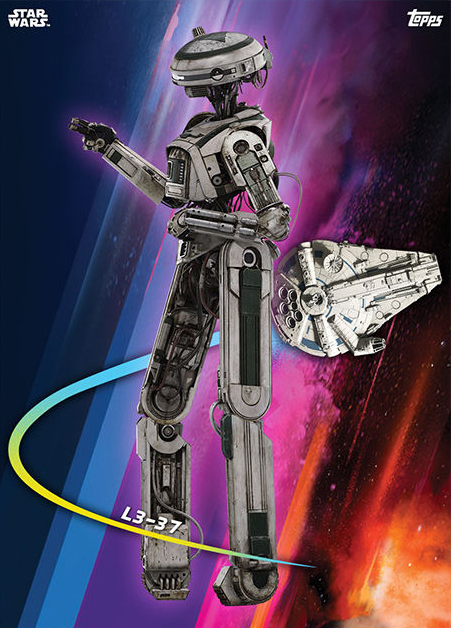 A few of the upcoming Topps Trading Cards for Solo: A Star Wars Movie have been revealed. 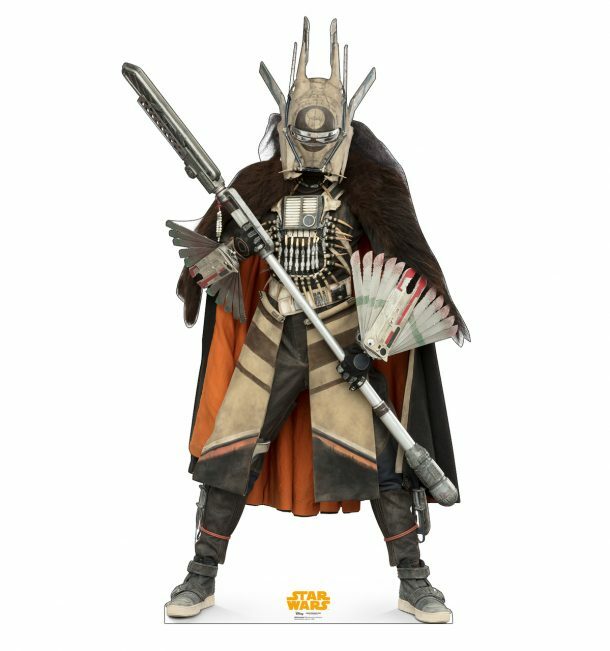 You can get a good look at Moloch, L3-37, Val and Enfys Nest. 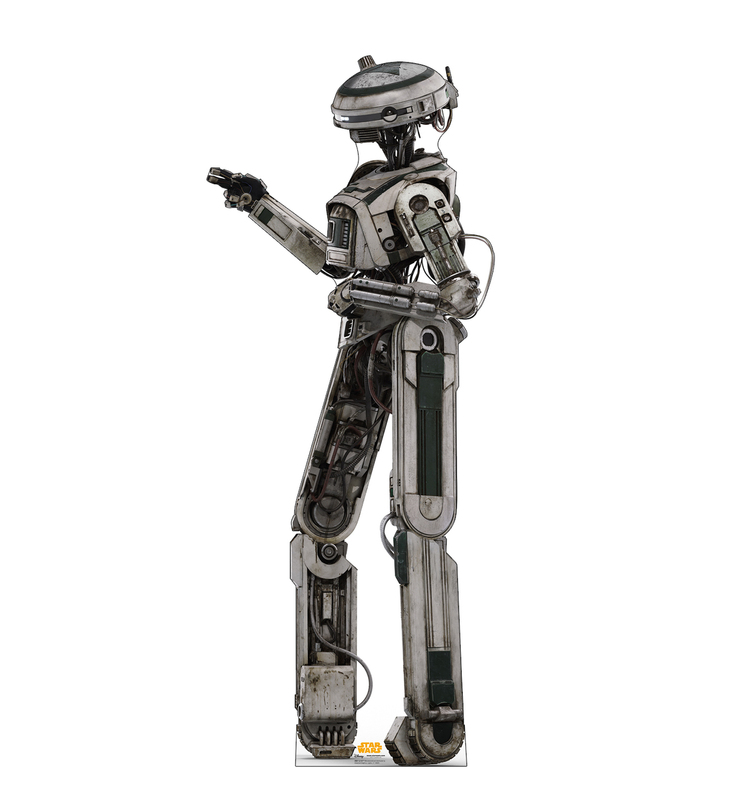 Click through to see the cards! 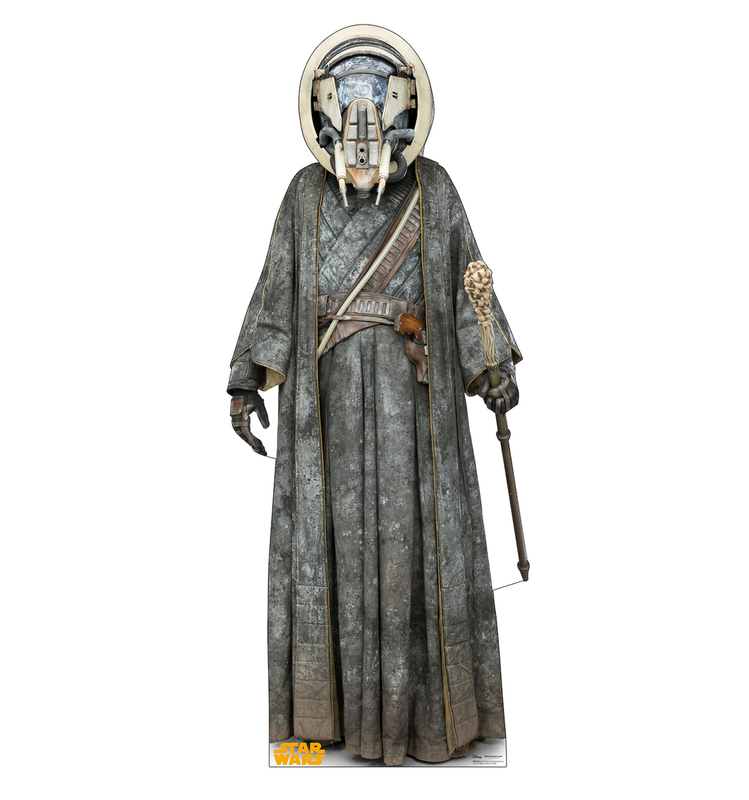 Update: high resolution photos of cardboard standups added to the post! Is that a dead animal around her neck? Let’s hope PETA won’t see it, while I hide under my custom made Fathier blanket… Move along, move along! The design is clearly inspired by Samurai armor. 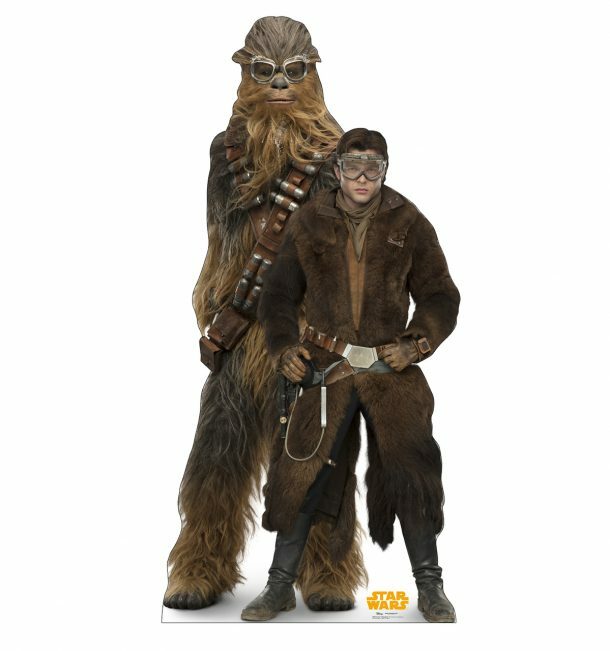 Update: online shop Advanced Graphics reveals some brand new cardboard standups for the Solo movie. 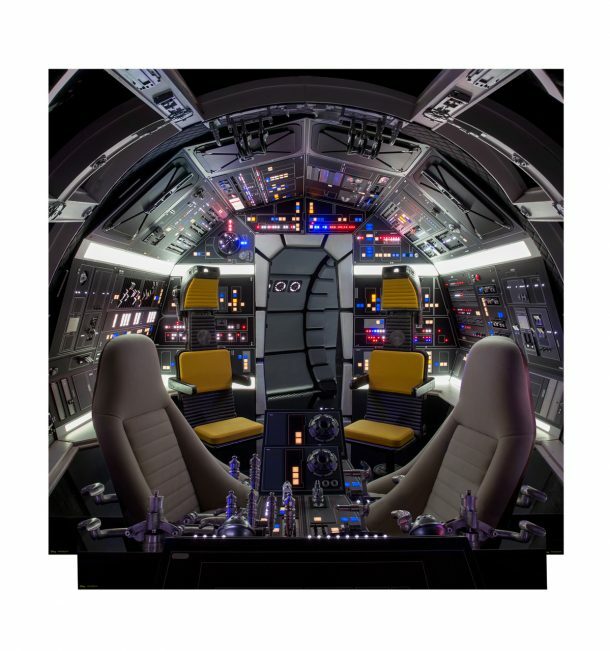 You also get a good look at the new (relatively so) Millennium Falcon cockpit! And finally here’s the shiny Millennium Falcon cockpit, without all the Wookiee hair! 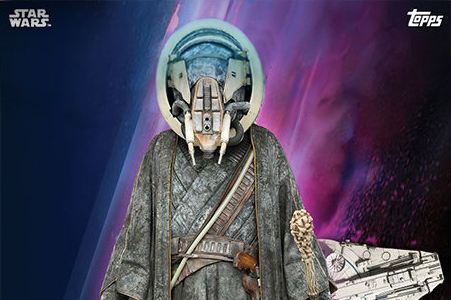 Will you collect the trading cards? What do you think of the character designs? 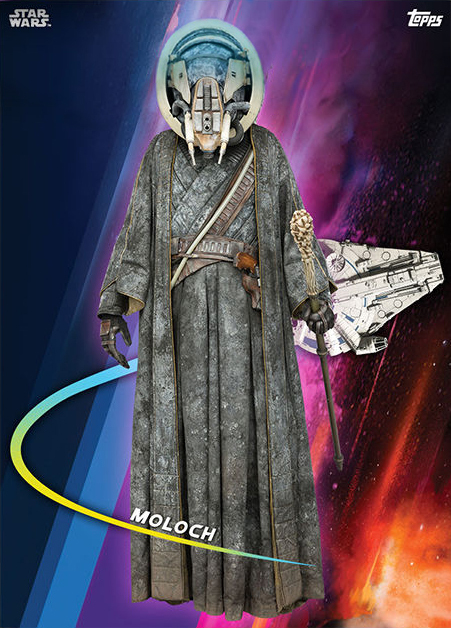 I hope we’ll get Black Series / TVC versions of Moloch and L3-37. And my guess is a Val action figure is not out of the question. 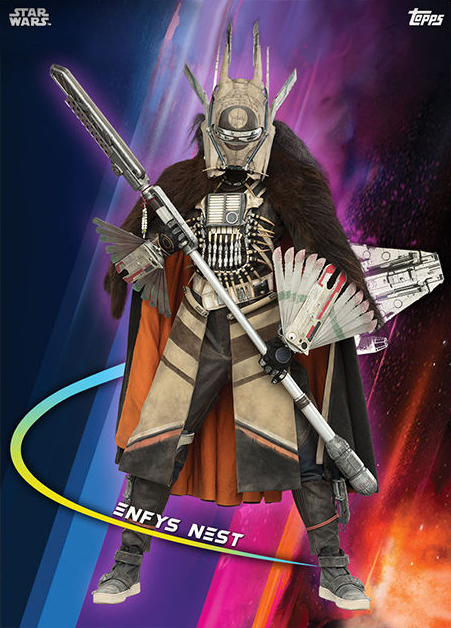 Enfys Nest was already accidentally revealed to come with a Swoop Bike in August in the Black Series, she could be a very interesting action figure! 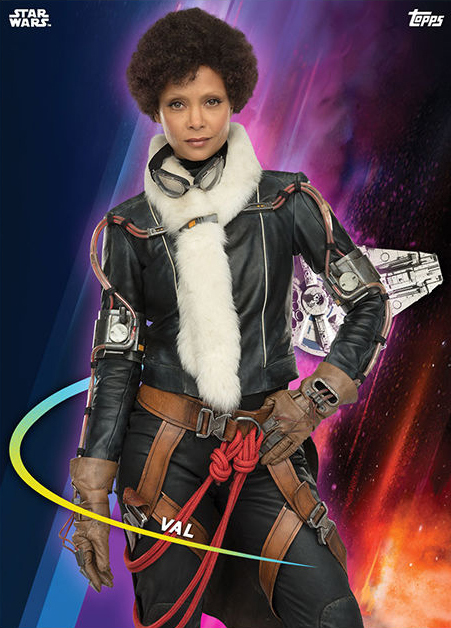 Let’s just hope her character will actually do something in the movie. Unlike some other female character in cool armor. 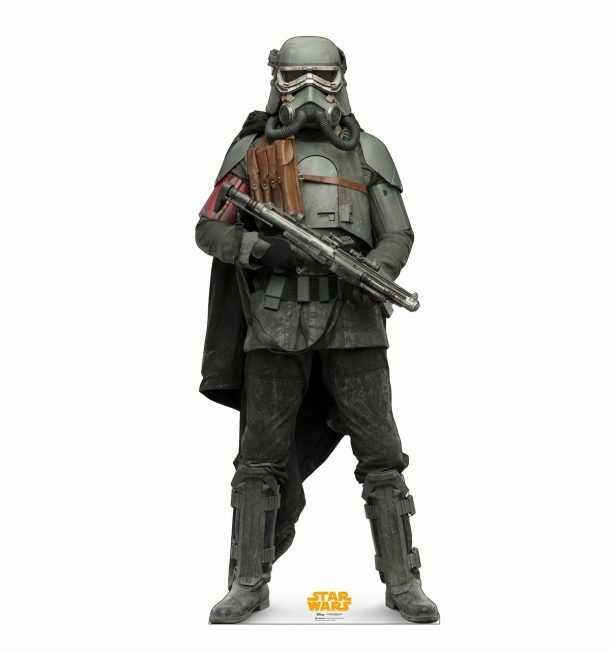 You can see some more revealed Topps Trading Cards at Milner’s Blog! Go to Advanced Graphics to see some more cardboard standups!